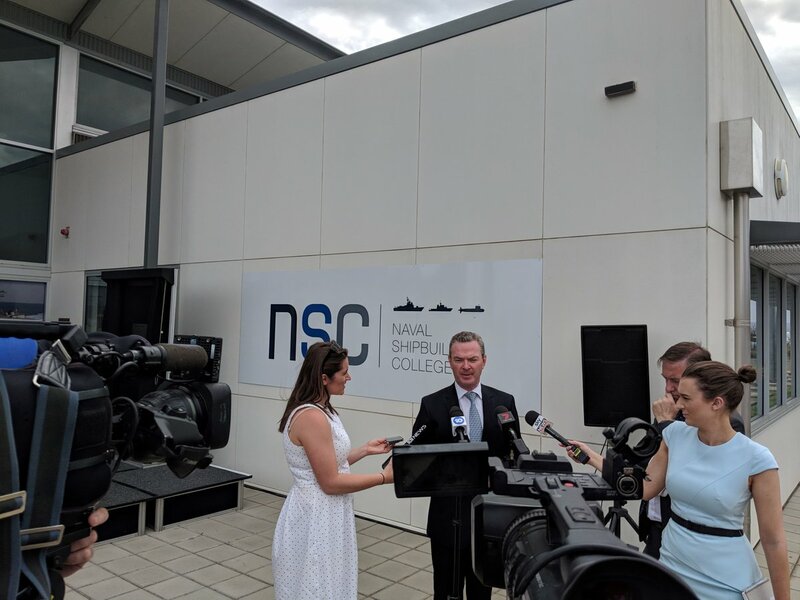 Defence Minister Christopher Pyne has officially opened Australia’s transformative Naval Shipbuilding College at Osborne in South Australia. Located at one of the country’s largest defence precincts, Techport Australia, the College will deliver a coordinated, national approach to workforce development and skilling for the nation’s naval shipbuilding enterprise. The College – to be managed by the Naval Shipbuilding Institute – will link up with education providers, as part of a hub and spoke model, to ensure courses are offered across Australia which produce workers who are job-ready. Mr Pyne also launched a National Workforce Register aimed at connecting Australian workers and students with new career opportunities as part of the $90 billion Naval Shipbuilding Program. He said the Register is being implemented by the College, which will provide a critical link to education and training providers as well as industry. “The College is a critical enabler of the continuous naval shipbuilding program which will build and sustain Australia’s naval capabilities, create economic growth and secure Australian jobs for decades to come,” the Minister stated. Program Director Bill Docalovich said the College is an Australian Government initiative being delivered by NSI (Australia) Pty Ltd, a joint venture between KBR and the largest shipbuilding company in the United States Huntington Ingalls Industries. “The College has a critical role to develop the workforce needed to support the continuous naval shipbuilding enterprise which will build and sustain Australia’s naval capabilities, create economic growth and secure local jobs for decades to come,” Mr Docalovich added. He said the College will ensure that Australia has a highly skilled workforce, capable of delivering the nation’s naval shipbuilding projects. “More than 15,000 direct and in-direct jobs will be created to build the Future Submarines, Frigates and Offshore Patrol Vessels, not to mention the workforce required around Australia to sustain the current and future fleet,” Mr Docalovich continued.